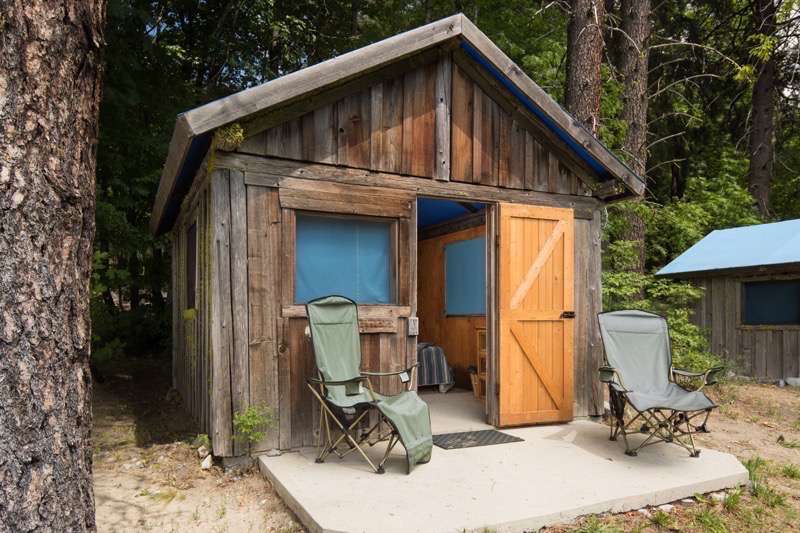 Our version of “Glamping” – the tent cabins are simple but very comfortable, have a canvas roof and screened windows with a kerosene lamp for light. 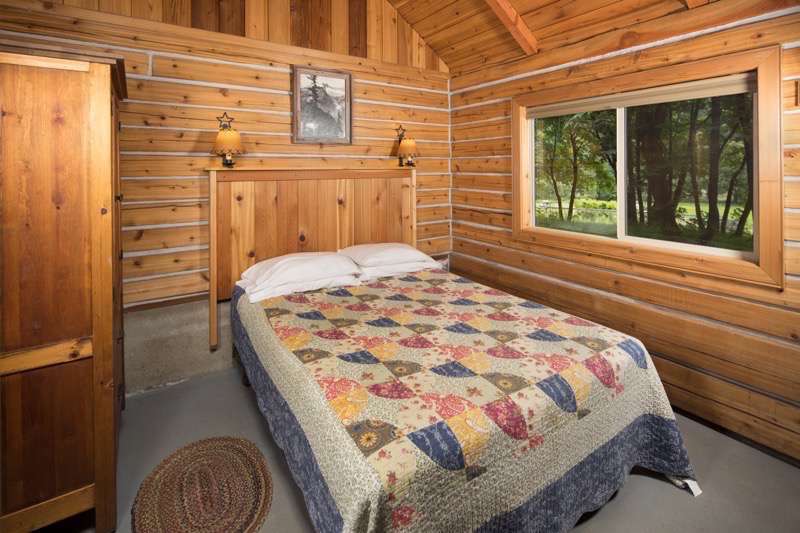 Equipped with “real” queen, full, or twin beds which will be made up for you. 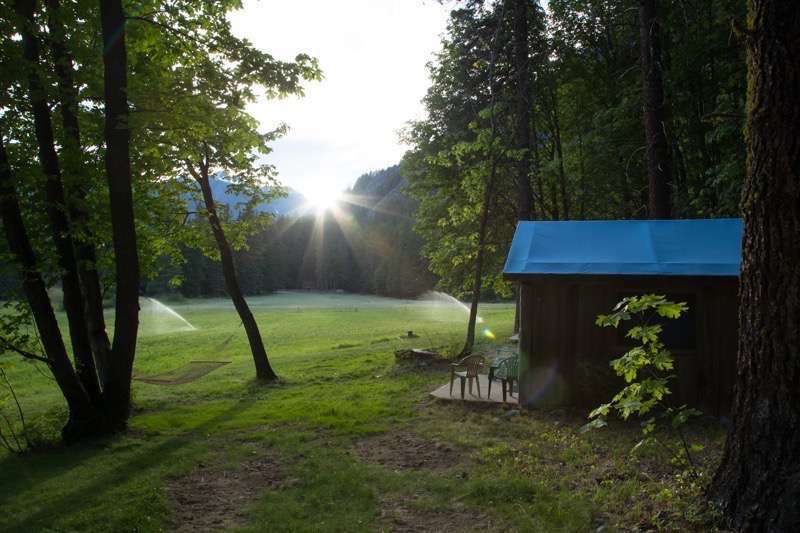 Showers, sinks, and bathroom facilities are located nearby in the cookhouse. 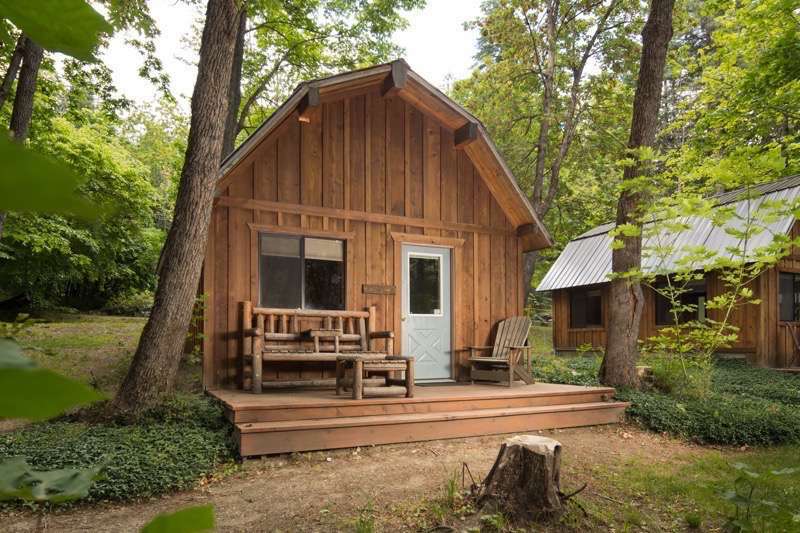 We have 8 cabins available with their own bathroom and electric lights. 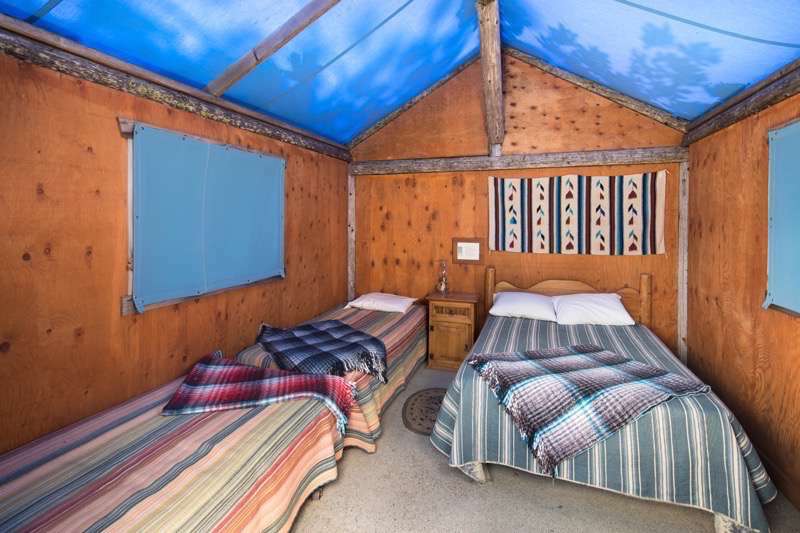 These have a queen bed, double futon, and up to two twin beds. 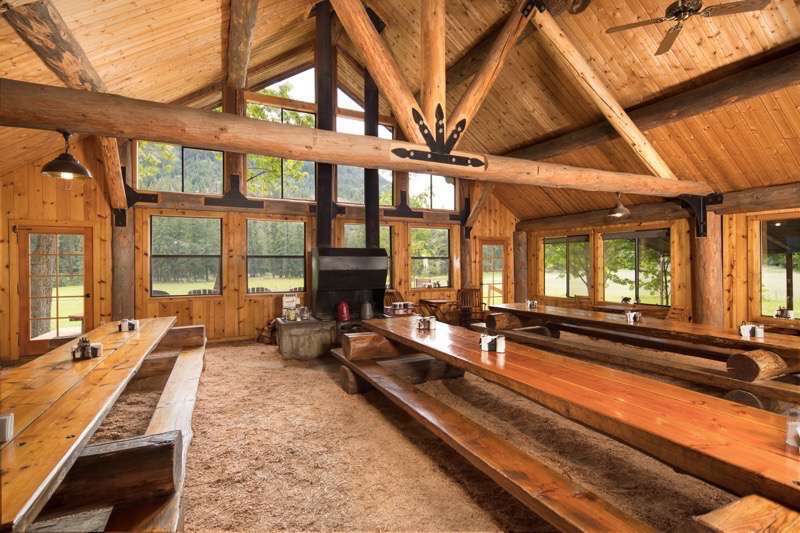 Meals are prepared and served buffet style in the Cookhouse. There is always a coffee pot on the fire, and guests gather around the 3 long tables in the dining room. Click here for more info. 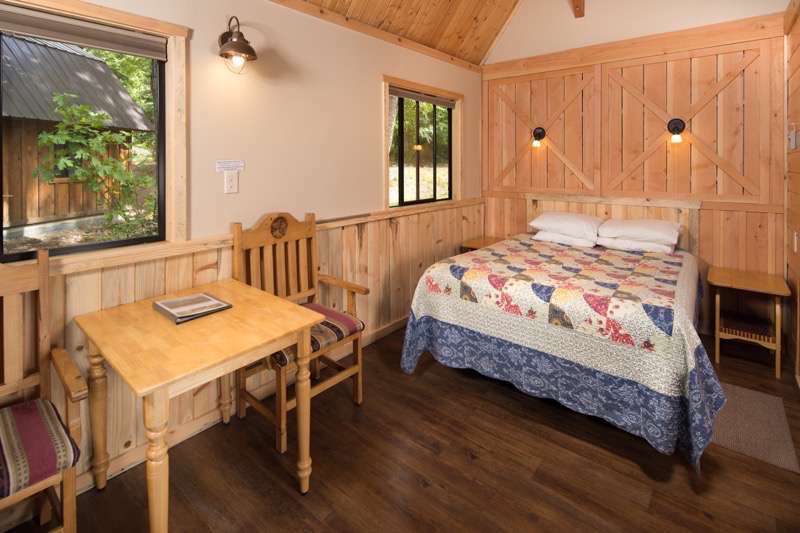 Upstairs from the dining room, you will find a cozy reading room. There you will find books, puzzles and games which you are free to enjoy during your stay. If you are looking for some outdoor entertainment, we do have a volleyball court set up, as well as horseshoes, badminton, croquet, frisbee golf and a ping pong table. Click here for a map of the general layout of the ranch facilities. 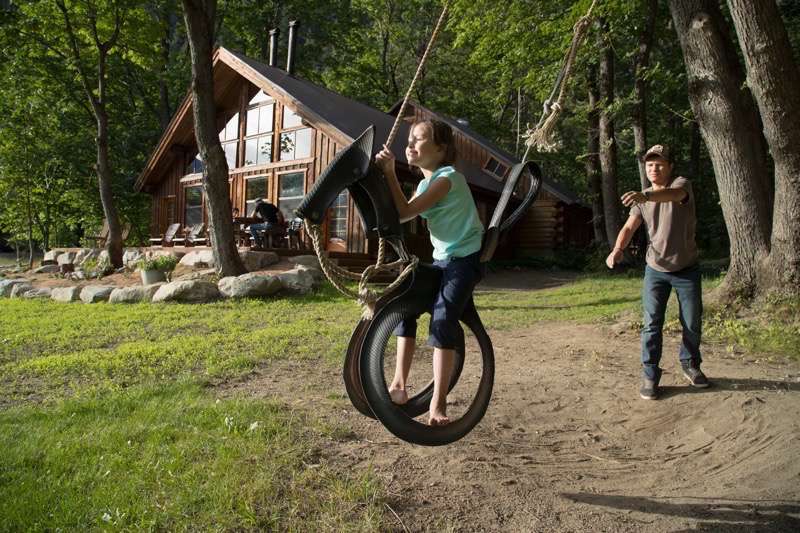 Kids and kids at heart always find their way to the horses swing! 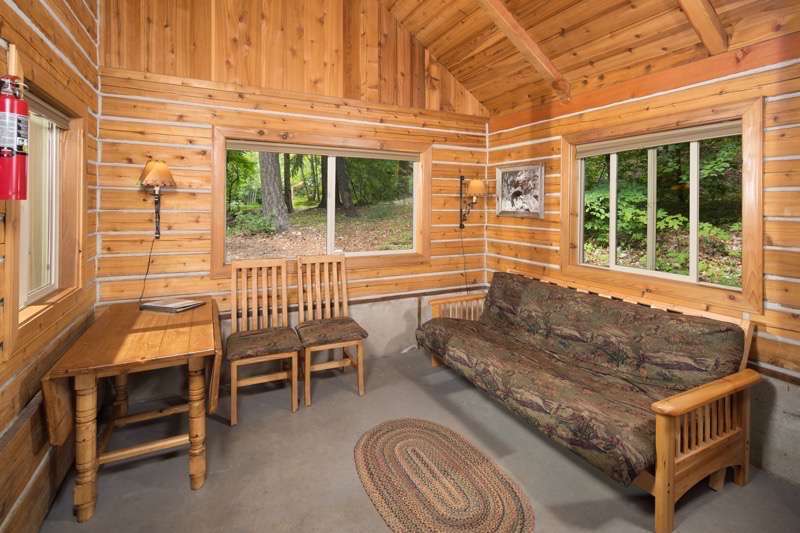 One of 2 log cabins with kitchenettes (#13&14). 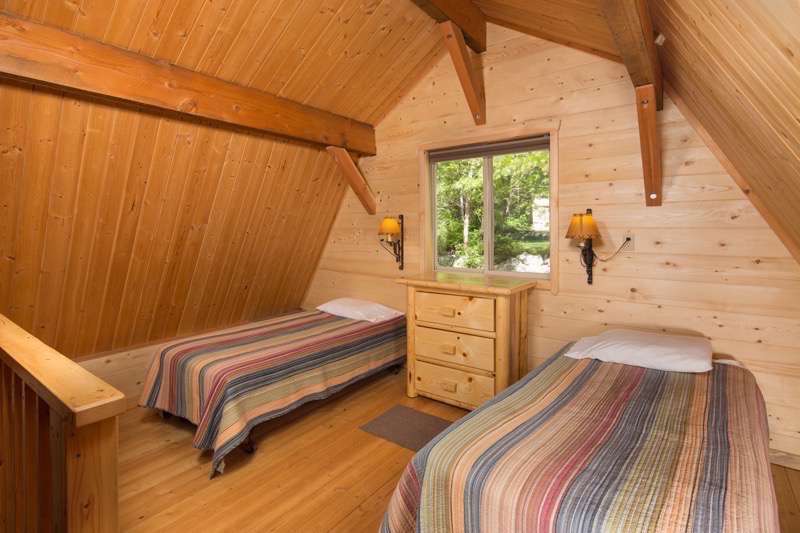 Loft space – found in cabins #9, 10, & 15.